Our shop has been servicing vehicles for over 30 years in the Albuquerque, NM area. See if we have any special offers and coupons available to help you save some money. We pride ourselves in customer service & our auto repair work to ensure we provide the best customer experience. If you need auto repair services, and you are in or around the Albuquerque area, get in touch today! Dan's Automotive, Division of RDG Inc., has been proudly providing quality automotive service & auto repair in the Albuquerque, NM area and surrounding communities for over 30 years. We are one of Albuquerque's most trusted auto repair and service shops. Our auto repair shop in Albuquerque, NM has all the right tools to handle most auto repair projects. Our techs at our shop in Albuquerque receive the highest level of training our shop can offer before they carry out any auto repair on your vehicle to ensure your vehicle will be as good as new once repaired by our auto repair shop. “These guys are awesome. I drove here from florida and my Mercedes developed a problem that would keep me from driving anywhere, much less back home. They could have taken advantage of that, but didn't. They were thorough and honest (I can verify they were honest...I knew this problem would eventually happen and which codes were showing up, but I didn't tell them that ahead of time). They got the parts they needed to solve the problem, but when they realized the first part they installed solved the problem, they stopped installing parts. They even went so far as to order an extra part to keep on hand in case another related error code popped up while I was still in Albuquerque so they'd be ready to help me get home on time. I would've paid a lot more money than I did because I had to get back, being stuck 1,500 miles from home. He knew that, but the price was very reasonable: in fact, much less than quotes I received for the same work in Florida. “Driving from Ontario Canada to San Diego, CA with my daughter when our 1989 VW Westfalia lost her clutch...I should have made a left @ Albuquerque! In a panic my daughter googled VW specialist and Dan's number popped up! She spoke with Garrett, told him the situation and the situation. He said he would call us back if he could source the part. He did. We still had hours to drive that day, so we asked if he could give us priority in the queue. He did. Throw in a power outage for good measure and we were still on the road 5 hours after we broke down. Best for last...he quoted us LESS than he charged us!! Thanks Garrett!! 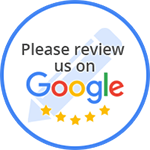 “I recently moved to ABQ from the east coast and was looking for a good auto service center for my Audi. Dan's Automotive turned out to be a great option. Excellent service, friendly staff, and they even did the work for about 30% less than what the dealer quoted me. “Dan's is an up front mechanic that knows his German cars forwards and backwards. He treats everyone with respect and seems happy to explain why a specific service is needed. All the latest computer equipment is in the shop so he can handle even the new fangled BMW and Mercedes. “On a road trip from Houston to Portland in my 2002 330ci, the check-engine-light came on and the engine provided inconsistent power and even shut off a few times. Not wanting to risk being stranded during a long leg of driving in the desert, I looked up reputable mechanics in the area and found Dan's. Garrett, Dan's son and one of the head technicians, picked up the phone. After hearing my story, he made some time the next morning to meet. After looking at the codes, Garrett saw the the engine was 'running lean' and ran a smoke test. He cleaned the tubes and replaced the crank shaft valve. They also replaced my air intake sensor which was reading the volumes incorrectly. From there, my car ran well and never shut off for the next 19 hours of driving. This relieved our stress along the road trip. Beyond fixing the problem which was complicated, they get 5-stars because of the level of customer care, knowledge of the problem, and attention to detail. Garrett did a thorough computer diagnostic of the car and walked me through what the readings meant and provided me options. They were honest and didn't scare or tell me I HAD to do anything. I've worked with some amazing and also not-so-great mechanics from LA to Houston, and I could tell that Dan's is a top-notch place with authentic folks who know what they're doing. The owner, Dan, even gave me a free ride back to the hotel and recommended I check our Sandia peak while waiting. It was a good day in Albuquerque. And as follow-up, Garrett gave me his card and offered to transfer knowledge to my next mechanic once I made it to Portland for some other issues that weren't as pressing. I def appreciate this since I am a customer just driving through. “Glad I found this place! a friendly place to take my Audi. “Bought an older VW, Dan tuned her up and got her going again. “My BMW started missing. This usually means start peeling off thousand dollar bills. I decided to try Dan's mainly for closeness. They got me right in, gave me a ride home, called with a fairly low estimate in a few hours, and called back a few hours later saying that it was done for what they'd quoted. I picked it up in the morning, and it ran like new. I believe that the place I took it to before would have charged twice as much and tried to sell more work and taken a week. I will go back here the next time I need work because they treated me right. They've been around for about 30 years and have kept the biz in the family, father to son. “Dan automotive is a very honest place. They will not jerk you around and sell you things you don't need. Dan has built his business with honesty and integrity. You don't have to cheat people when you are honest, they will come to you for a reason. 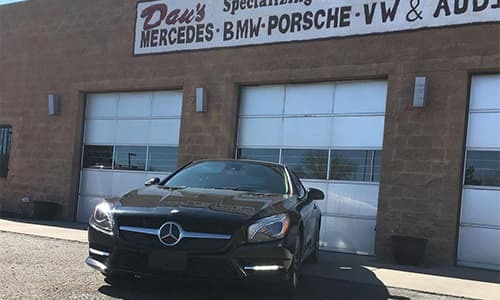 Dan's Automotive offers service to BMW, Mercedes Benz, Volkswagen,Audi, Porsche, Mini Cooper, Sprinter and many more in Albuquerque and the surrounding area!